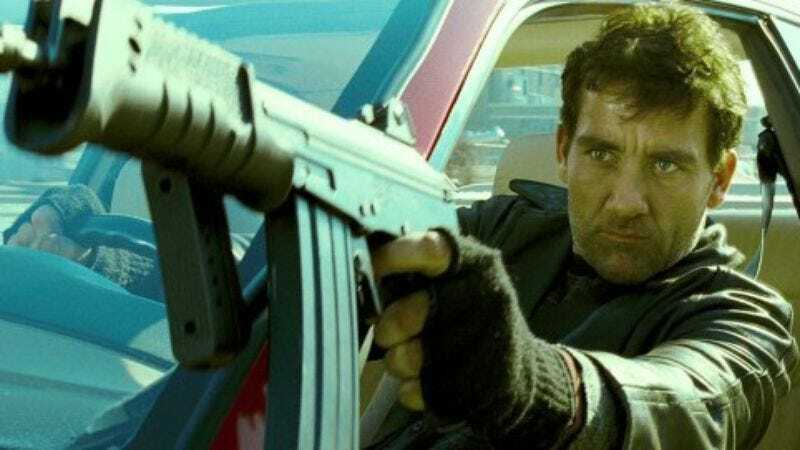 Clive Owen is setting down his surgical tools and getting back to the honest work of killing lots and lots of mostly faceless mooks. The star of Shoot ‘Em Up and The Knick has signed on to play a leading role in Valerian And The City Of A Thousand Planets, Luc Besson’s latest attempt to mash the disparate movie genres of “Oh God, that was stupid,” and “Oh God, that was awesome” into a single glorious film. Besson’s follow-up to Lucy, his 2014 ode to the human brain and its ability to cope with really dumb exposition in the service of seeing Scarlett Johansson melt a dude with her mind, Valerian is based on a French science-fiction comic first published in 1967. The books, created by Pierre Christin and Jean-Claude Mézières, pretty much sound like the recipe you’d follow to bake up a modern-day Luc Besson: galaxy-spanning high-concept nonsense, occasional feints toward political depth, and an odd strain of feminism that poses female characters in skin-tight space armor, then sets them to the task of kicking all the men-folk’s asses. Owen will star in the film with Dane DeHaan from The Amazing Spider-Man 2, and Paper Towns’ Cara Delevingne, presumably playing one of Besson’s usual murder-waifs. Expect to see her take apart her enemies—we’re looking at you, Good Day Sacramento—with kicks to the face, elaborate gun ballets, and withering British scorn, just as soon as Besson can get the $180 million dollar movie into theaters.